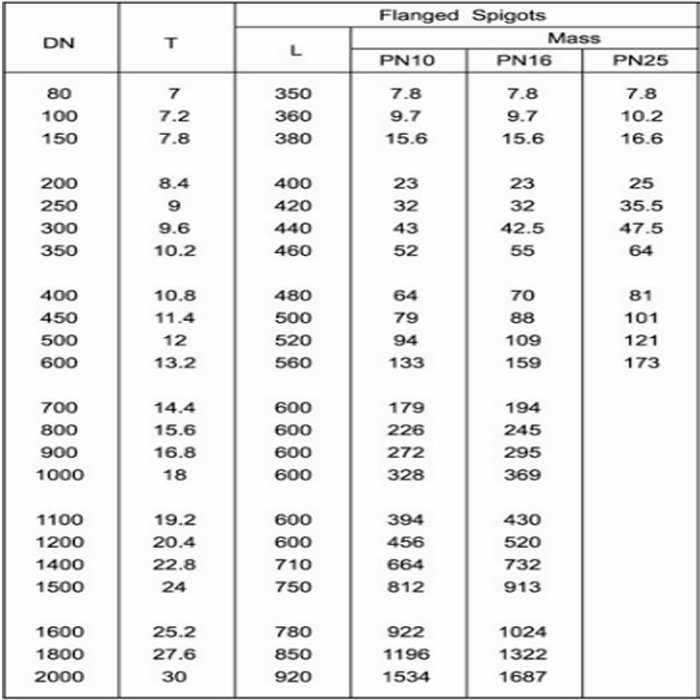 Ductile iron pipes are produced with the ends are socket,spigot or flanged ends.We manufature different pipe fittings with different ends in order to meet the clients requirements.we produce Flanged Spigot with ductile iron EN-GJS-450-10. Designed acc. to EN 545, flange drilling acc. to EN 1092-2. Non standard lengths are possible. Looking for ideal Ductile Iron Flanged Spigot Manufacturer & supplier ? We have a wide selection at great prices to help you get creative. All the Iron Flanged Spigot are quality guaranteed. We are China Origin Factory of Flanged Spigot Short Pipe. If you have any question, please feel free to contact us.